The only production vessel on the water with the ability to absorb anything you can throw at it. This is the pinnacle of design, craftsmanship and performance. These days big fish can vary widely offshore. Deep water anglers go where the fish are, near or far. That has made the KingFisher Offshore series very popular and in high demand. A perfect combination of rugged toughness, precise control, built-in fish-ability and luxurious comfort gives every model its unique presence. The bigger the water, the greater the challenge, the better you get. 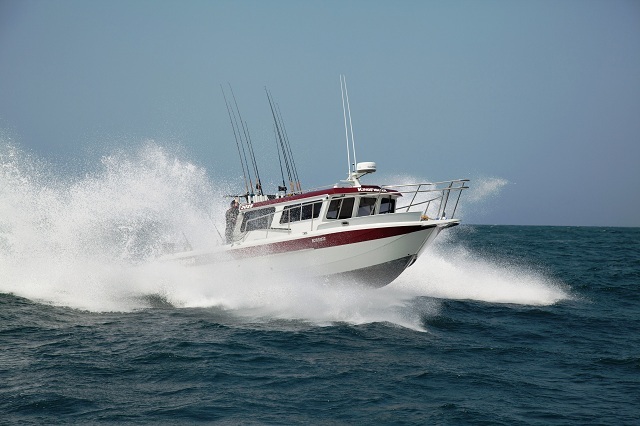 Why is KingFisher Offshore the best selling aluminum coastal sport-fishing machine since 1998? 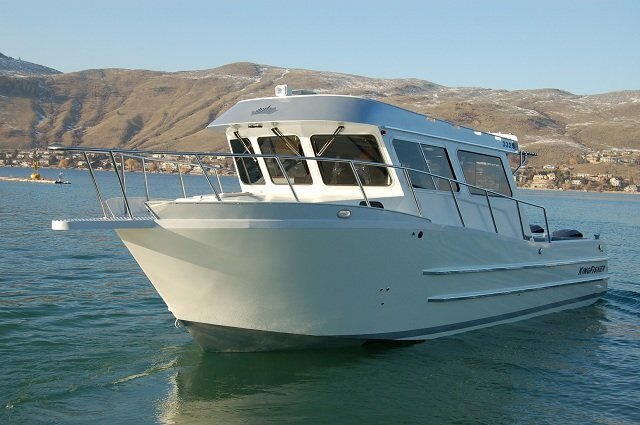 KingFisher boats are renowned for their custom built quality. 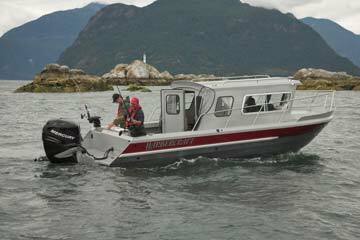 We build each boat for anglers who seek maximum value, safety and performance from their coastal boat. We've combined robust good looks and dynamic handling with a well appointed comfortable cabin to trump any challenge the coast can throw at you. 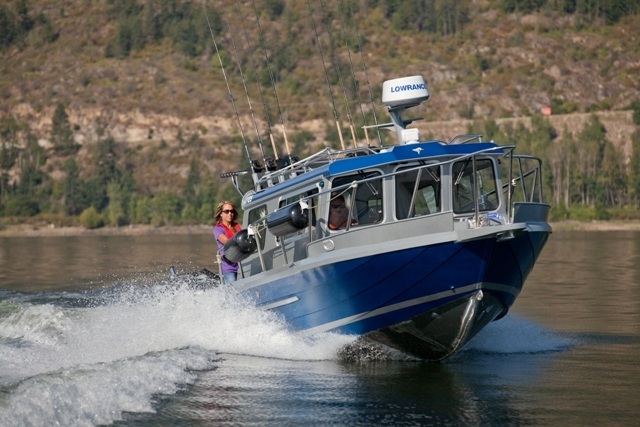 A dynamic vision focused on fishing and value equally at home trolling the inside passage or cruising up the big coast. A heavy-gauge welded KingFisher built with Pre-Flex technology is a smart investment since its gets on plane quicker using less fuel, saving you money every time you go out. KingFisher boats do not need routine maintenance, such as re-varnishing or waxing. 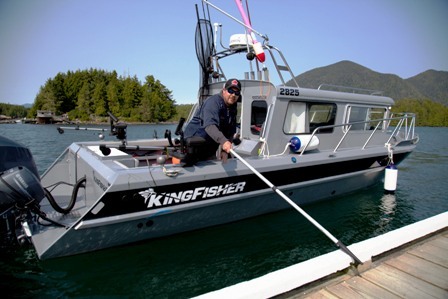 Lasting almost indefinitely, KingFisher boats have the highest resale value of any type of sport-fishing boat. We deliver smiles and years of reliable low maintenance service. 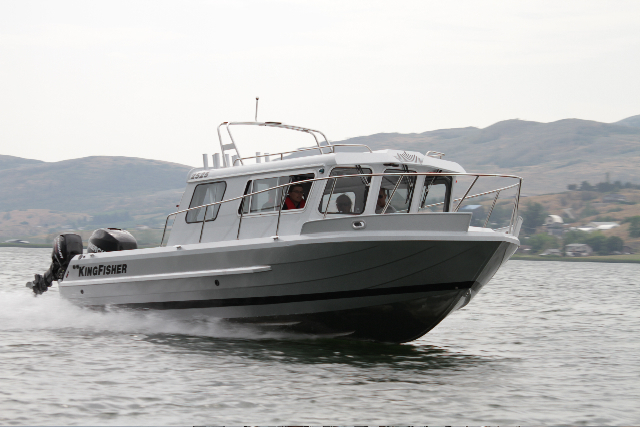 KingFisher Offshore dealers are friendly, passionate with strong ethics and integrity. Their staff of factory-trained and certified service technicians truly understand KingFisher welded heavy-gauge offshore aluminum boats. Fish the Good Times with KingFisher.